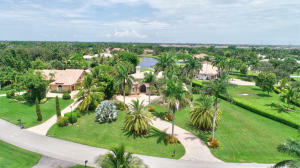 Rio Poco is located in beautiful Delray Beach just north of Clint Moore Road off of 441. 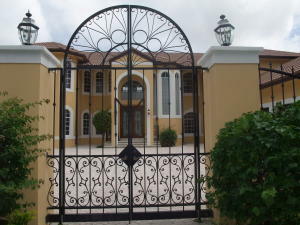 Rio Poco is very desirable because of the vast estates and excellent security. This luxurious community has 175 single family homes that are all situated on at least one acre and range in size from 2,500 to over 8,000 square feet. Most of these magnificent Tuscan and Mediterranean inspired estates were either recently renovated or constructed and offer many lavish interior upgrades including state of the art kitchens, hardwood and marble flooring, elegant fireplaces, exquisite grand foyers and oversized private master suites complete with luxurious roman tubs, French doors and large walk in closets. Rio Poco estates are also extremely sought after for their breathtaking resort style swimming pools, extravagant spas, screened in verandas, and lovely outdoor kitchens that are ideal for entertaining. Rio Poco is extremely secure with a manned 24 hour guarded front gate and a roving guard. Residents of this community also enjoy the use of several Har-Tru tennis courts and a community club house. Rio Poco is only 5 minutes away from the new Delray marketplace and is located convenient to many shopping plazas and public parks. Live in luxury at Rio Poco. 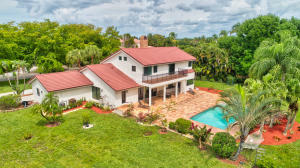 Information in regards to Delray Beach real estate and Rio Poco homes for sale or other listings may have come from a cooperateive data exchange service. All rights reserved. Information deemed to be reliable but not guaranteed. The data relating to real estate for sale on this website comes in part from a cooperative data exchange program of the multiple listing service (MLS) in which this real estate firm (Broker) participates. Listing broker has attempted to offer accurate data, but buyers are advised to confirm all items. 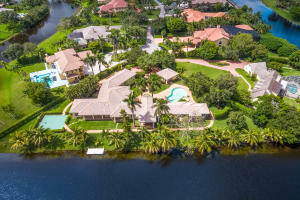 We provide all information about Delray Beach homes for sale and Rio Poco real estate or other listings as is with absolutely no warranties. This site will be monitored for 'scraping' and any use of search facilities of data on the site other than by a consumer looking to purchase real estate, is prohibited. Feel free to contact our agents to find a great Rio Poco Delray Beach specialist. Rio Poco in Delray Beach is really a wonderful location. The Delray Beach location is amazing. But, if this isn't the community for you, you might like one of the other local communities like Delray Lakes or Ventura or Windsor Court that are located here as well.